The 100cc Star Sport, from the house of the TVS Motors, uses new CVTi technology, which offers better performance, excellent pickup and good mileage. It comes with dual tone alloy graphics, alloy wheels and excellent speedometer design. The Star Sport is for the people who expect good features at better mileage and not for sport bike fanatics. The bike comes in two versions. The base version Sport comes in two colours - carbon black and jet red with alloy wheels, while the deluxe version comes with fuel gauge and double-toned sporty chrome graphics in about three colours - black, blue and silver. 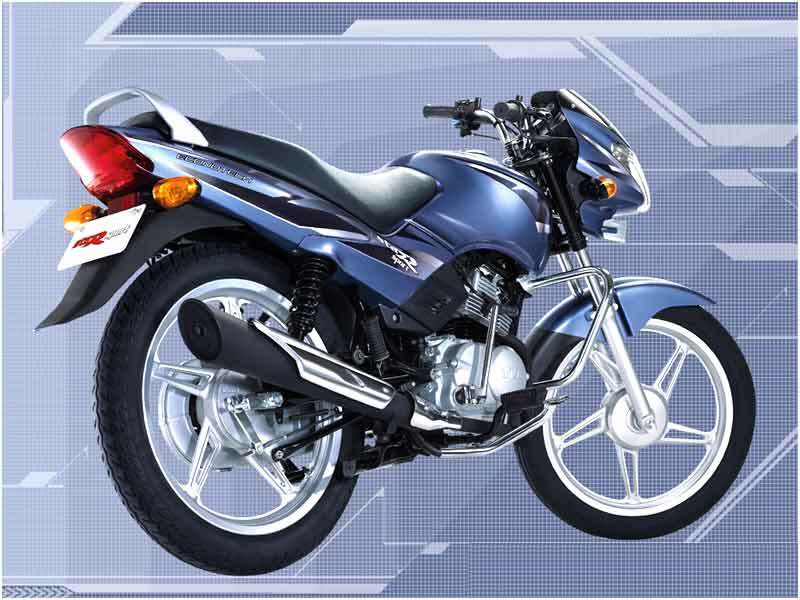 Star sport is an entry level bike that challenges the dominance of the Bajaj CT 100 in the economy segment. 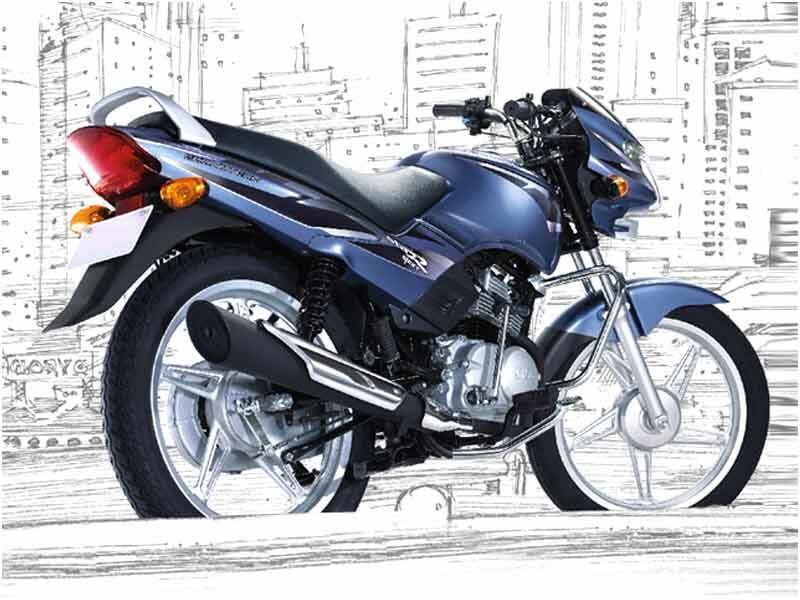 The Star is equipped with a four-stroke, air-cooled, single cylinder engine that generates a displacement of 99.7 cc. The engine produces a peak power of 7.5 bhp at 7500 rpm and a maximum torque of 7.5 Nm at 5500 rpm. 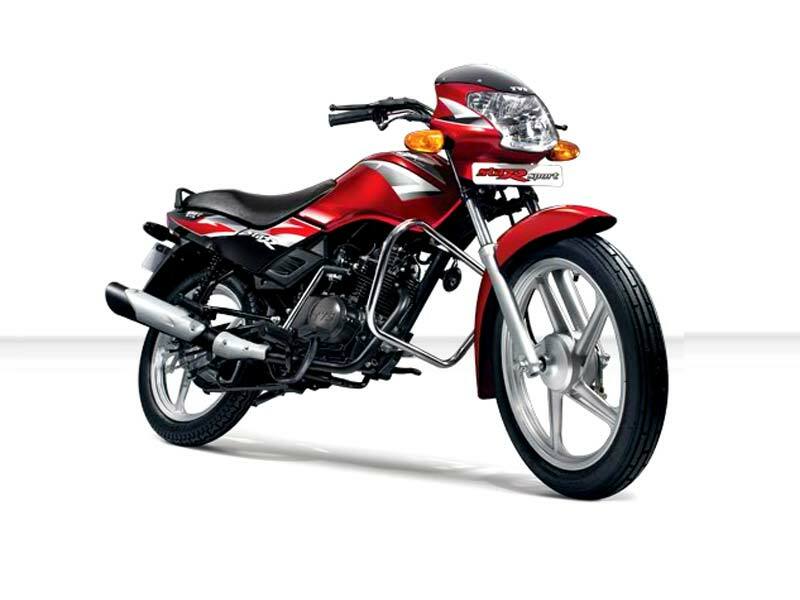 Star Sport 100cc is a stylish, compact and affordable bike. The bike has delivers laudable performance with excellent mileage and maneuverability that helps in tackling busy traffic easily. It has a well-designed petrol tank, which seamlessly flows into a sleek and continuous side panels culminating into a flush type tail lamp unit. The suspension has the same look as that of the Star City, but the rear one comes with 5 steps adjustable stroke, a little longer than the Star City. Star Sport has a well designed handle, alloy wheels, broad tyres, streamlined body and a shoe-type seat that adds to the comfortable ride. It is an ideal bike for the city ride despite complaints of vibration. The vibration is still an issue that TVS should deal with earnestly. The expanding drum brakes works excellently in any conditions and keep the bike in safety. The rear and front suspensions work well and help in realizing the maximum comfort level in this bike. TVS offers a 5-year warranty on some parts of the bike. Made for the best, TVS Star Sport justfies this phrase fetching a mileage of 65-68 kmpl.